20. 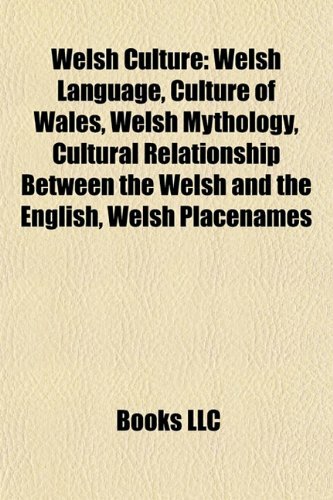 Welsh Mythology: Welsh Mythology. This new work offers an exhaustive survey of one of the world's most fertile and exciting mythological traditions. 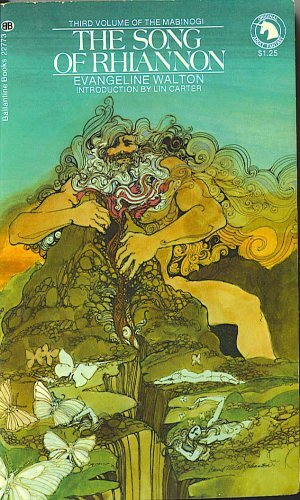 It covers the persons, themes, concepts, places, and creatures of Celtic mythology, in all its ancient and modern traditions, in 4000 entries ranging from brief definitions to extended essays on major tale cycles. An introductory essay explains who the Celts were, explores the history of the Celtic revival, and examines the meaning and role of mythology and tradition. 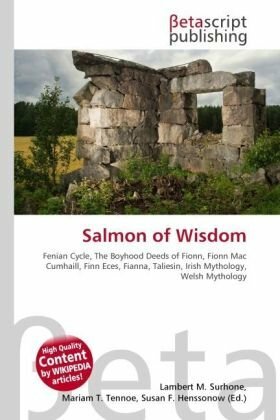 An invaluable pronunciation guide for the major Celtic languages, a topic index of entries, thorough cross-references within Celtic mythology and to other mythologies, such as Classical and Norse, enables the reader to see the relationship between Celtic mythology, later Irish literature, and other literary and mythological traditions. 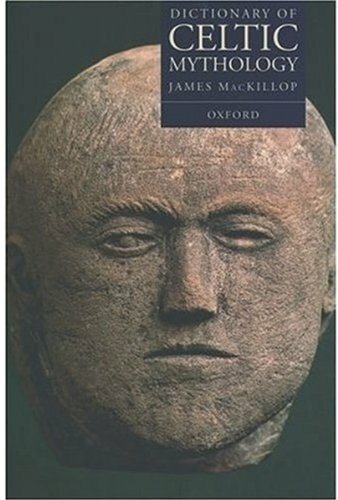 Must-Have for Celt-o-philes and Celtic-leaning Wiccans and Pagans! So you listen to Loreena MacKennitt and love you a good Celtic knot. 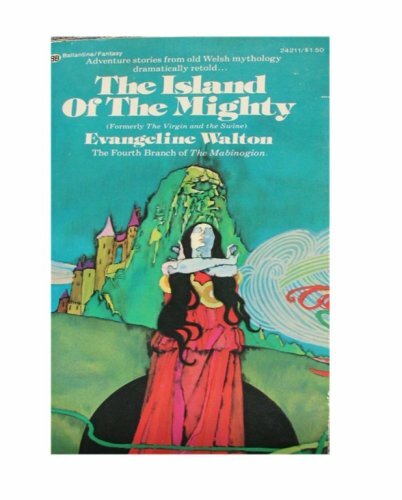 You know vaguely that Brigid is a Christian saint who started as an Irish goddess, and that Taliesin had something to do with bards. If you want to learn more, pick up this book. Sure it's a dictionary, but if you have a couple hours, you could read it cover to cover and come away with more colorful stories of heros and gods and beasts than you ever could have imagined. For being a reference book, it reads as well as most short story compendiums. Informative and a fun read! My copy of this tremendously helpful book is completely dog-eared.Interestingly enough, I bought the book not because of my interest in Celtic and Druidic studies, but because I play an online multiplayer game called Dark Age of Camelot.As I was playing I noticed a couple of "mobs" (monsters) which seemed curiously in tune with their natural meanings.I work at a bookstore and picked this book up on my break to look up a few more of the mobs and found them all in there.Over time, I found that the game was startling on target with mobs, non-player characters and mythic storyline. I have since used it for a number of other Celtic "look ups" and just love having this book handy.It is nearly indespensible in my mind. 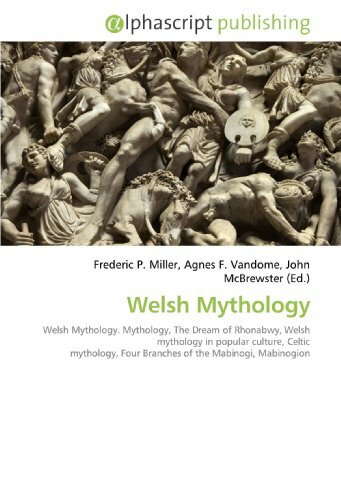 This book is wonderfully useful for Irish and Welsh mythology. 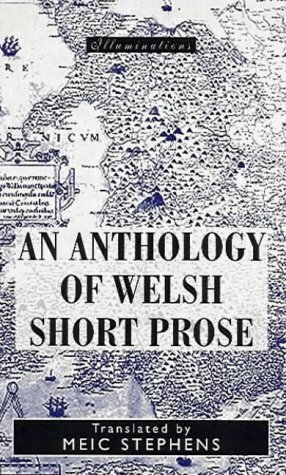 Irish and Welsh entries are generally quite comprehensive and individually mostly of a high quality. The major flaw, and it is quite a major one, is the horrific dearth of Scottish and Breton entries, which appear quite randomly and often are only of very low quality. So for instance, Irish "kings" of minor historical or mythological importance occur in abundance, yet figures such as Macbeth, Malcolm II and Malcolm III are totally unaccounted for. Dublin has a huge entry, Glasgow has no entry (although admittedly St. Kentigern does). There may be entries for Goidel Glas and Scota, of supreme importance in medieval Scottish origin myth, but nothing is said of them in relation to Scotland or in how they were used there. Every half-significant Irish geographical feature has an entry, yet a location like Scone has nothing. 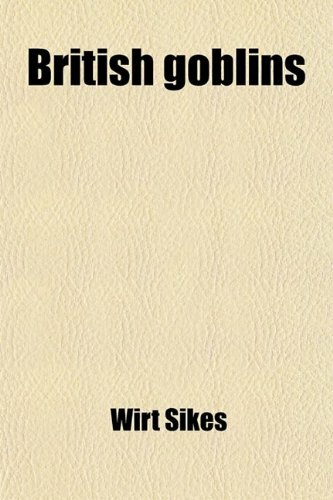 Likewise, there are no entries for the "Prophecy of Berchan" or the "De Situ Albanie." I could go on and on. Quite frankly, if this is the best reference work on Celtic legends and culture, this only goes to show how very bad the rest are.Other reviewers have pointed out the irrelevant English items and very bad etymology; I would like to add that the book is infuriatingly uneven in its references.Some I have been able to track down; other entries have no origin listed at all, which has resulted, in one case, in a desperate and completely unavailing trawl through EVERY TITLE in the Brittany bibliography - and that for a reference which is absolutely fundamental to my research.I know this particular character and folk-tale exist; they must, because other facts I encountered confirm that they must; but because Mr. MacKillop has not given his source for his description, I am unable to proceed.And that is not the only case in which the entries let me down.It is pointless to write a reference dictionary if you are not going to give references! There is much in this book that is useful about Celtic folklore and mythology. However, the etymologies are usually incorrect. This may not matter to some. It does to me. The back cover claims that this book has "authoritative...etymologies for Celtic names..." when they are in fact neither authoritative nor correct. For example, MacKillop gives for the entry Deva an etymology from Latin meaning goddess "[L. goddess]." However, the Latin for Goddess is _diva_ not _deva_. The word _Deva_ is transparently Brittonic from (Proto)-Celtic *_deiwa_. Especially annoying for me is the etymology of English words used as headings, which are out of place in a Dictionary of Celtic Mythology (I believe). So, while the entry for "Stag" is indeed useful, giving the etymology of 'Stag' from "[OE stagga]," (while at least correct in this instance), is just absurd. This is a two volume set originally published in 1901. 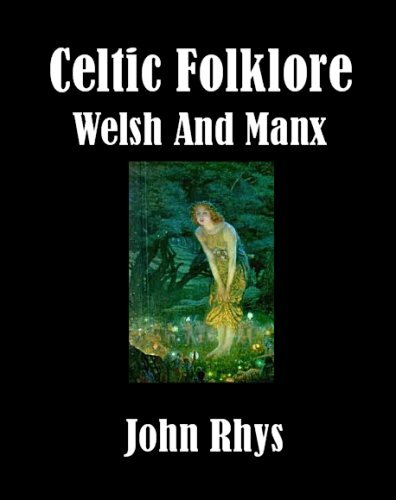 Covers folklore, beliefs, customs, superstions of people at that time in rural Wales and the Isle of Mann. 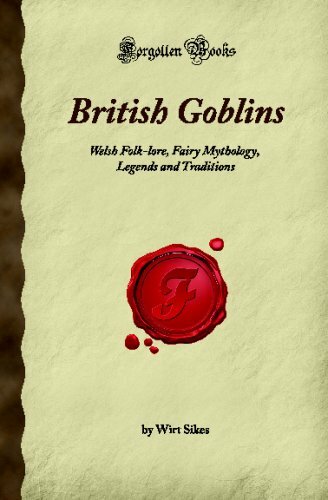 This is probably 80% or more dealing with the Welsh and covers things like beliefs in fairies, spirits living in wells, trees and lakes and the stories surrounding them, plus lots more. Rhys also goes into the racial aspects of folklore and myth. One thing that made this book great is Rhys actually went to the most isolated places where these beliefs were part of everyday life and interviewed and talked with people compiling first hand reports. I'm a big believer that folklore and folk customs in the British Isles are a vital source for understanding the Pagan religions of the British Isles because I think much of this stuff is a direct surviving part of Heathenry. These two volumes are one of, if not the, best source for Welsh folk customs. 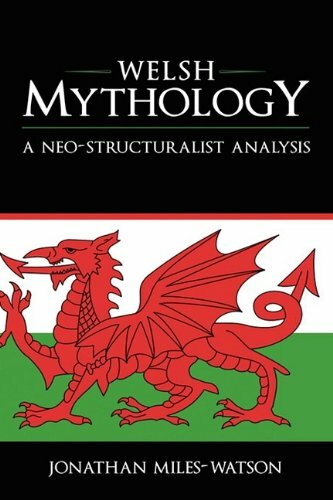 This study of Arthurian and Welsh mythology is one in a series of seven that consists of comprehensive analyses of each of the six major Indo-European mythologies. The Indo Europeans are defined by a common group of languages that extend, as the name implies, from India to Ireland.Among these peoples extensive mythologies have survived in Indian, Persian, Greek, Norse or Germanic, Irish, and Welsh and Arthurian stories.We caution that our account is not for the faint-hearted since our studies have analyzed all of these six mythologies individually in a long and intensive study to a depth that has not even been attempted for a hundred years or more. 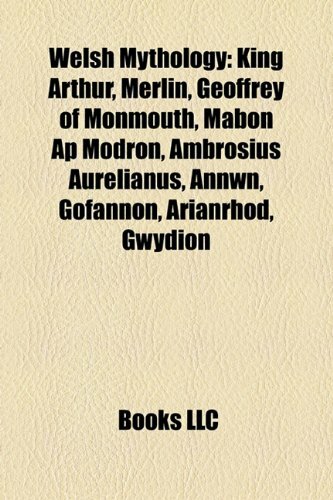 Arthurian and Welsh mythology is found in Welsh, Latin, and French and German sources.However, almost all of these have been strongly contaminated by the false identification of much of the stories with the semi-historical figure of the British hero who briefly stemmed the Saxon invasions of Britain.Such a figure is found and named by Bede but his name was not Arthur, and this name and his identification with the Welsh hero is due to the Welsh monk Nennius. 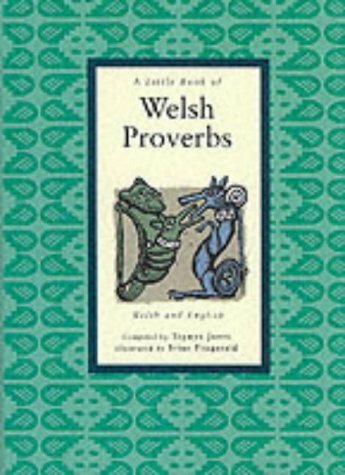 Nevertheless the charm and vigor of the story as told later by Geoffrey of Monmouth led to its immense popularity of the story of Arthur in many European courts and to the telling, re-telling, and probable fabrication of many stories over several hundred years.Said to be to be translated into Latin from a “little Welsh book”, Geoffrey’s work was quite probably translated from “Breton Welsh” by an ally of the Norman invaders.Two-thirds concerns a supposed history of the descent of British kings from survivors of Troy and the last third is the first recognizable account of the “traditional” story of Arthur. 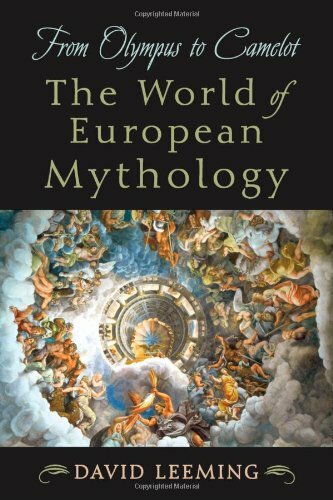 However though much has been lost, hidden within all of the stories are elements of the older true stories and our analysis shows that some striking, largely unrecognized, links with the other Indo-European myths are present.This volume presents those links. 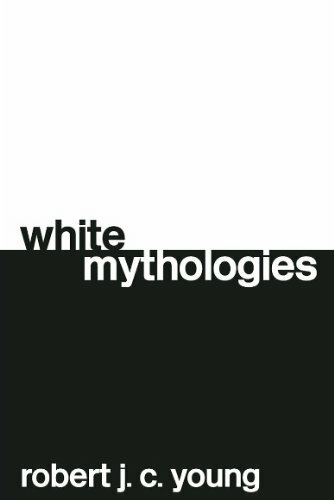 In 1990, Robert Young's White Mythologies set out to question the very concepts of history and the West. His reflections on these topics provided some of the most important new directions in postcolonial studies and continue to exert a huge influence on the field. This new edition reprints what has quickly become a classic text, along with a substantial new essay reflecting on changes in the field and in the author's own position since publication. This study of Indian Mythology is one in a series of seven studies that consists of comprehensive analyses of each of the six major Indo-European mythologies. The Indo Europeans are defined by a common group of languages that extend, as the name implies, from India to Ireland.The languages include the many Hindu and other Indian languages, that of the Persians, the Kurds, Armenians, the extinct Hittites, and the languages of Europe excluding Basque, Hungarian, and Finnish.Among these peoples extensive mythologies have survived in Indian, Persian, Greek, Norse or Germanic, Irish, and Welsh and Arthurian stories.We caution that our account is not for the faint-hearted since our studies have analyzed all of these six mythologies individually in a long and intensive study to a depth that has not even been attempted for a hundred years or more. The key to this successful analysis of these mythologies is our discovery that all the major figures are known by many, many names.These are found linked together in Indian but only some are preserved in the other five mythologies. We have discovered that their names, family relationships, and exploits are all to be found scattered through the mythologies of the Indo-Europeans. The mythologies that hold these stories are Indian, Welsh and Arthurian, Greek, Norse, Irish, and Persian.These histories are most completely preserved in Indian mythology and religion and in Indian terms they extend from Brahma to Krishna.We find that Indian mythology, because of its vast size, retains the names and stories of all of the six generations and so parts of all of the other five mythologies can be linked to Indian.Links between the other five also exist but are less extensive. These accounts will surely be unfamiliar even to students of mythology since all of the principal figures were known by many names and in all cases the mythology has been transposed to the land of the teller.Different names often survive in different lands and we are led into arrays of names and genealogies that even scholars of these separate mythologies are unlikely to appreciate fully. We recognize that individual readers are likely to be more interested in some parts than others and so we have provided separate accounts of each of the six mythologies.We have then combined the conclusions of these studies to give our best judgment of the lives of the seven principals.This last document is thus an account of the lives of “The Family of the Gods”.